FREE SPEECH & POEZIE Frederik De Preester leest Eric De Preester : Vrede + Mexico 1968: the Tlatelolco Massacre + Mexico 1968: Black Power at the Olympics + SSimon & Garfunkel: 7 O’Clock Newssilent Night. 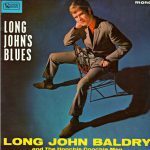 LONG JOHN BALDRY & The Hoochie Coochie Men: ‘Long John’s Blues’, 1964, LP, side 1. LARRY CORYELL ‘Coryell’, LP, 1969, choice tracks. LONG JOHN BALDRY & The Hoochie Coochie Men ‘Long John’s Blues’, 1964, LP, side 2. CANNED HEAT ‘Hallelujah’, LP, 1969, side 1. THE BUCKINGHAMS ‘Kind Of A Drag’, 1967, LP, choice tracks. LOVE, PEACE & UNDERSTANDING The Zombies: Time Of the Season. HOMAGE TO CATALUNYA Joan Manuel Serrat: Ara que tinc 20 anys. FREE SPEECH & POETRY: Marlin Luther King, Ewan McColl & Peggy Seeger, Adrian Mitchell; Jennifer Lewis & Hylda Sims, Bob Dylan.